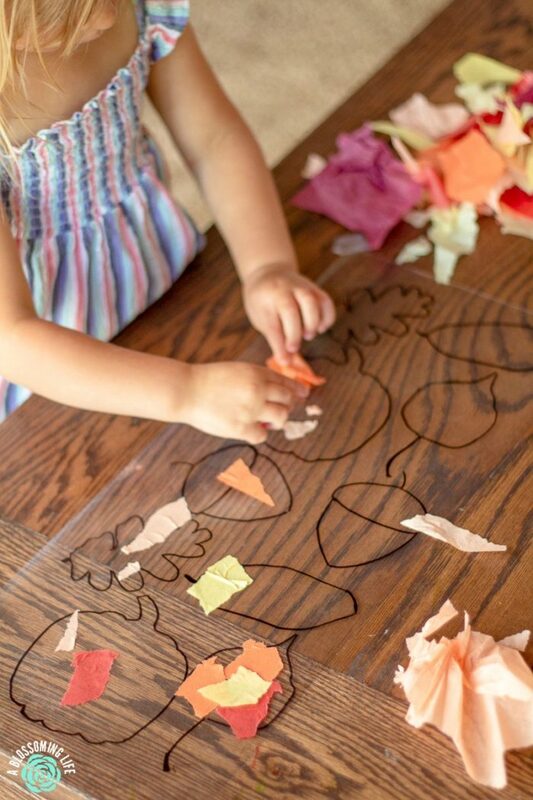 Kids will love this fun, easy, and minimally-messy fall suncatcher craft – it’s a great way to entertain them, and they will love to look at their beautiful creations. We love doing crafts in our house. 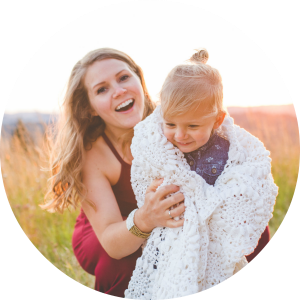 It’s a great way to limit screen time while also occupying the kids and letting them be creative. This fall suncatcher included a few of August’s favorite things: ripping paper, crafting, and acorns (she collects them). If only it had glue… As she has a gotten older though, and learned how to appropriately say the word “crafts” and not “craps,” her idea of what crafts should be has also changed. Coloring used to be the cool thing to do, but then she got into more complex things, like feathers, sequins, play dough, etc. Her idea of which crafts were fun has definitely changed. Glitter is still not allowed in our house, though. I’m not that cool. 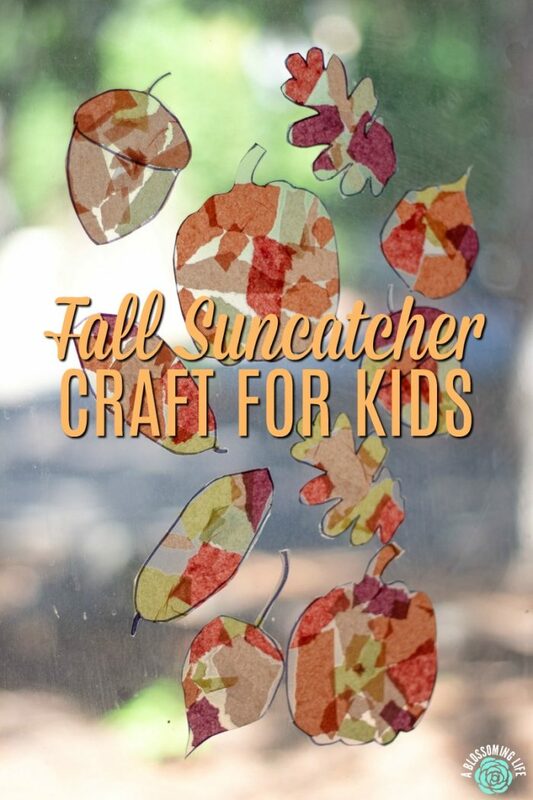 With August’s new opinions on what crafts are fun, I knew that this fall-inspired suncatcher craft idea would be a winner. 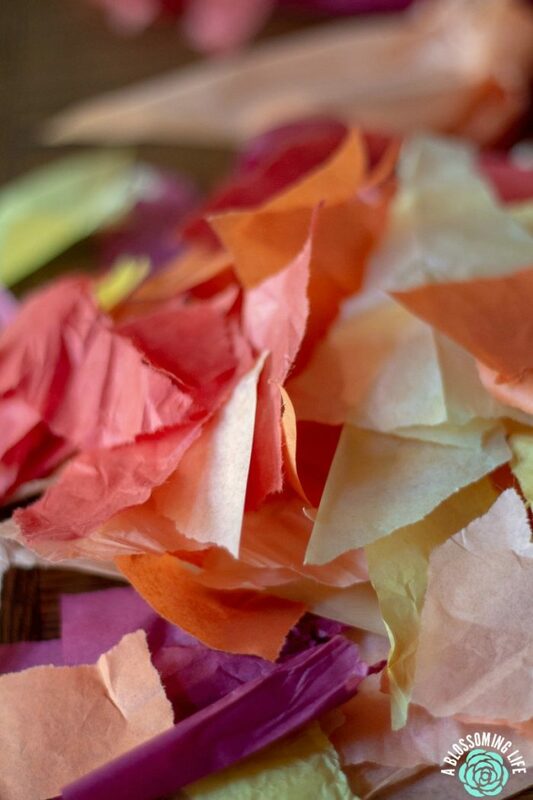 Cutting or ripping up tissue paper and putting it on sticky paper – what kid wouldn’t love that? I did have to do some of the work, but it’s fun to be able to do crafts together. Side note: don’t do this around your 8-month-old, super mobile baby. He will try to eat all the things. 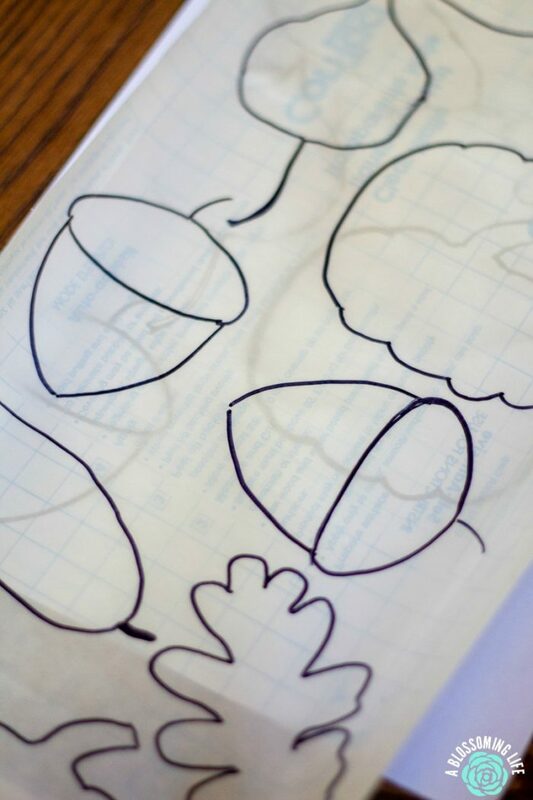 Place a piece of contact paper over the fall shapes and trace the outline with permanent marker. Have your child cut or rip up tissue paper while you do this. 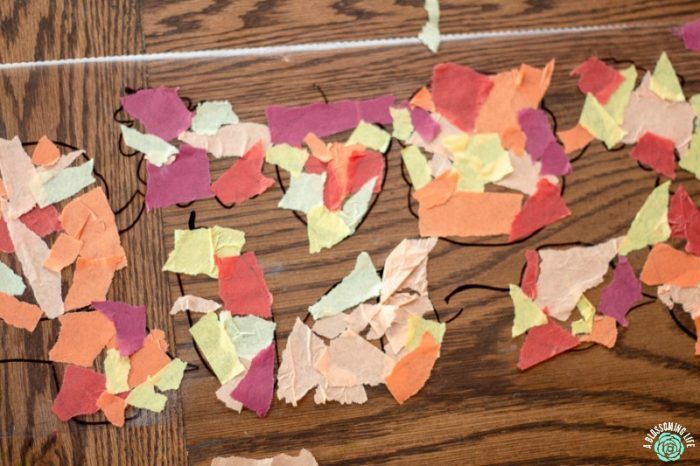 Peel off the paper backing and place on the floor or table, sticky side up. Tape the corners down. 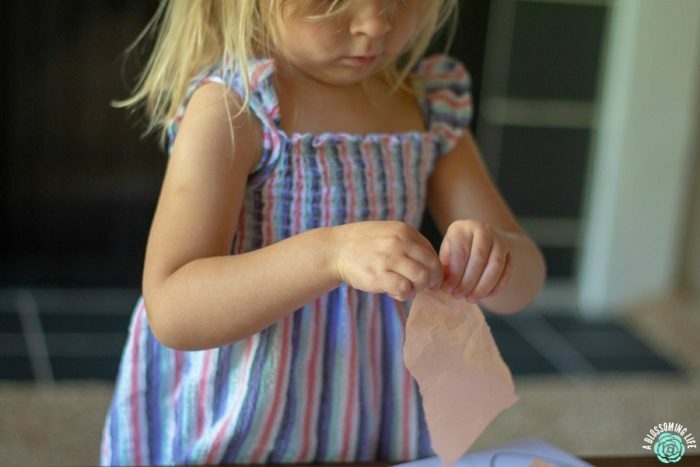 Let your child be creative and place the tissue paper wherever they like (try to have them lay it as flat as possible). Once they have completed their beautiful creation, peel the backing off another piece of contact paper of equal or larger size, and carefully place it on top of the other sheet of contact paper, sandwiching the tissue paper in between the sheets (sticky side to sticky side). 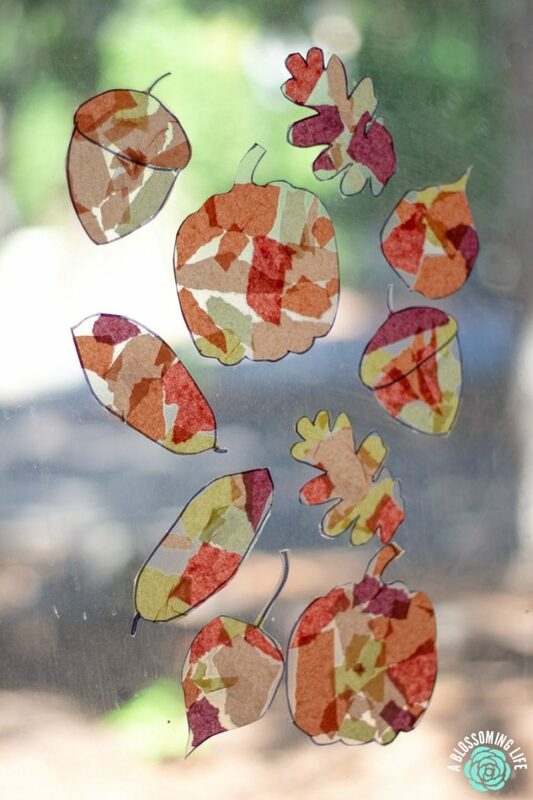 Cut out the fall designs and hang them on a window with double-sided tape, or string them and hang. Just in case you’re wondering… my windows are not that dirty. The seal is broken in the windows so they always look cloudy. Yay for an expensive fixer upper! 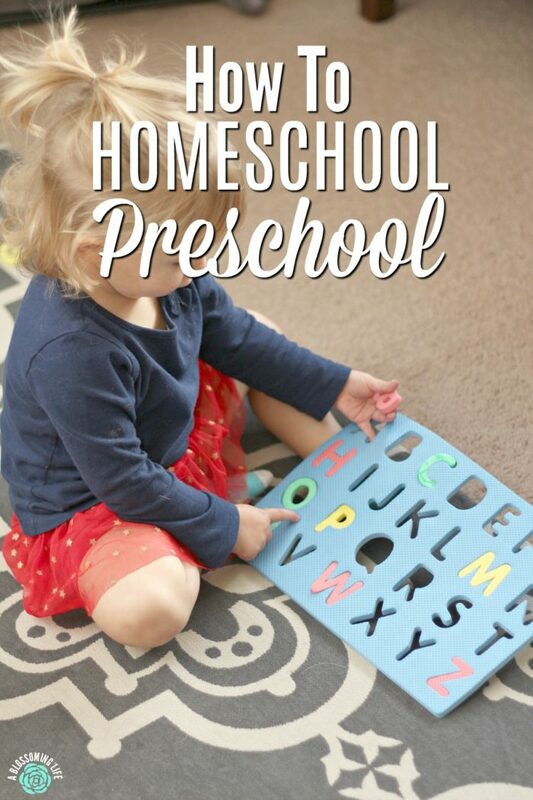 This was such an easy and fun craft my 3-year-old loved. She now wants to make more fall suncatchers to make sure daddy has some to hang in his office. But the possibilities are endless with this project – you could make turkeys for Thanksgiving, ornaments at Christmas, hearts for Valentine’s Day… So many options! 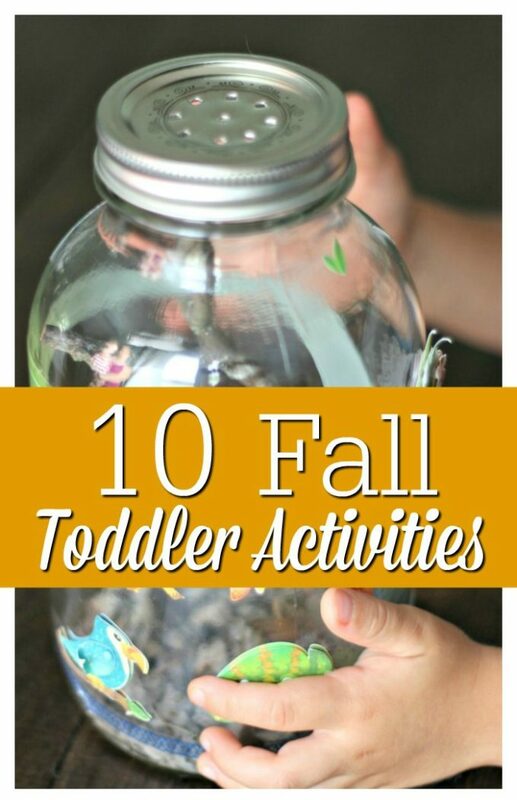 This suncatcher craft is definitely something we will do over and over again.